When you’ve got a game on the books and its time to lock in a reliable transportation provider, you need to partner with a reputation that you can rely on. With our extensive access to industry-leading transportation solutions, San Francisco Charter Bus Company is the charter bus and minibus reservation service that can fulfill your needs, no matter the size or the scope of the situation, call us today at 415-404-6456 to find out how you can book the perfect luxury coach for your team. It’s game day, and you’ve got a ton of equipment you need to bring on the road with you. 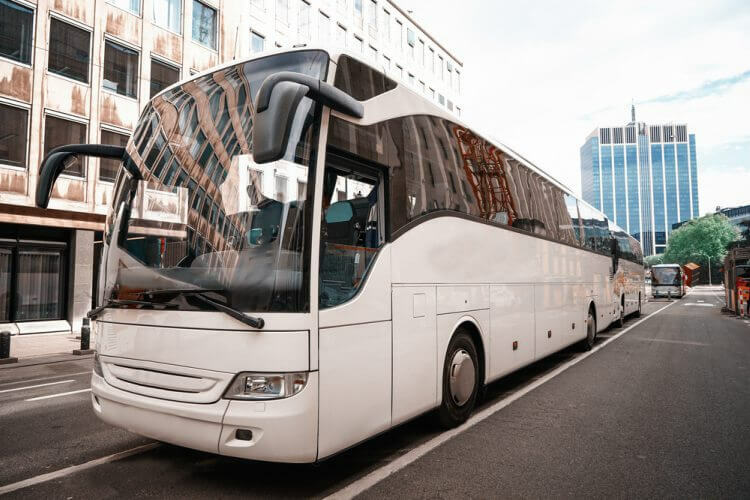 Figuring out how to accommodate all of your essentials may have been difficult in the past, but San Francisco Charter Bus company makes it easy for you to bring everything your team needs. Overhead storage bins and below-cabin luggage bays make consolidating pads, helmets, balls, training equipment, and everything else easier than ever. No matter how large your team is, we can find the solution that best suits your needs. With options ranging from 56-passenger charter buses to 25-passenger minibuses, we’re able to accommodate teams of various sizes, including football teams, basketball teams, soccer clubs, and everything in between. When you book with us, you’re guaranteed a safe, efficient solution that is designed to keep your team unified and comfortable. Fans, players, and coaches all have the benefit of utilizing a personalized shuttle service when they book with us. Take your journey beyond the game’s venue and explore the restaurants, shops, and sights in the surrounding area. Make a stop at your hotel to freshen up, then tap into your inner tourist as you prepare for the big game. At San Francisco Charter Bus Company, we can turn an everyday competition into a lifetime memory. Staying relaxed and loose are two of the most important things you can do when preparing for a match. While there are a number of things your players and coaching staff do by themselves to unwind, we help out by creating a unique, intimate riding experience. With premium amenities such as plush reclining seats, flat-screen TVs, DVD players, lavatories, WiFi, and surround-sound speakers, we make your private coach ride one of the most comfortable experiences you’ll ever have. Your players have worked hard to prepare for the upcoming competition, so let us reward them with an extravagant riding experience. It’s your responsibility as a fan to support your team through thick and thin. In the past, distance and logistics may have been an excuse for you not to attend their away games, but not anymore. San Francisco Charter Bus Company simplifies the booking experience and pairs you with a professional, efficient driver who is guaranteed to get you to the game with time to spare. Gather up your closest friends and family, and support your favorite team in more than just spirit. San Francisco Charter Bus Company is dedicated to making your sporting event a memorable one. Whether you’re a fan, coach, player, or executive, we’re determined to get you to the game relaxed and ready to execute. Call us anytime at 415-404-6456​ for a free quote and more information about our transportation solutions.